Understanding the bug fix for OAB downloads in Exchange 2010 SP2 RU1 (February 28): This is a fun article that pokes a gentle amount of fun at the wonderful turn of phrase exhibited by Greg Taylor when he explained a bug fix to improve OAB downloads in an article posted to the EHLO blog. All done in the best possible taste – Greg even enjoyed the article, but I await his retaliation. Good linkup might help Microsoft penetrate corporate sector with Windows Phone (February 27): This post covers the agreement made between Microsoft and Good Technology to bring 192-bit AES encryption technology to Windows Phone devices. I think this is a good step towards making Windows Phone a more acceptable platform to those who run RIM BlackBerry today. Your chance to improve the Exchange Server documentation (February 24): A new version of Exchange Server is in the works and Microsoft is considering the form that TechNet documentation should take to support the new software. Head over to David Strome’s blog to make your voice heard. 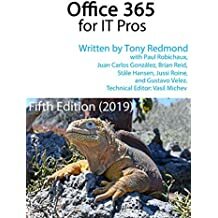 Prioritizing Exchange 2010 mailbox move requests (February 22): Along with the bug fixes that are included in Exchange 2010 SP2 RU1, Microsoft slipped a new piece of functionality in that you can now assign a “high” priority to important mailbox move requests. Microsoft has had this ability in their Office 365 datacenters for the last year so the code is solid. OCAT: Microsoft’s Outlook Configuration Analysis tool (February 21): Discussing the new OCAT utility that helps administrators figure out what might be going wrong with Outlook. Generally I am very positive about OCAT. Read this post to find out why. Exchange 2010 SP2 RU1: A CAS glitch? (February 17): The Exchange development group was embarrassed when another roll-up update introduced a bug that should have been caught during testing. The bug is easy enough to work around but a cookie format change that stopped CAS servers communicating should not have been shipped. PST Capture: Congratulations and some caveats from Transvault’s CTO (February 16): Lots of comments flowed after Microsoft released their much-heralded PST Capture tool. Transvault is a software vendor that has its own PST ingestion technology and the comments from their CTO are useful pointers to take into account when you plan any PST capture project. Exchange Web Services Editor–a new gem to consider (February 14): February appears to have been my “tool month” as I wrote three articles about different tools that make the lives of Exchange administrators a little easier. EWSEditor is the newest. New version of MFCMAPI available (February 9): MFCMAPI has been around for a long time but it continues to get better and better and is a definite “must-have” addition for any Exchange administration toolkit. Top Six things to know about Exchange 2010 archive mailboxes (February 7): I’m not sure if many Exchange 2010 archive mailboxes have been deployed yet as many people appear to be still in the planning process. Certainly, there have been many questions asked about how archive mailboxes differ from their primary cousins. Hopefully this article answers some of those questions. Learn about Microsoft Certified Master accreditation (February 2): You’re too late to attend the live session to learn about MCM training and the accreditation that can be gained if you pass the incredibly demanding exams – but a recording is available. This entry was posted in Exchange, Exchange 2010, Office 365, Writing and tagged Exchange 2010, Exchange 2010 SP2 RU1, Exchange archive mailboxes, PST capture. Bookmark the permalink.